These are by far my favorite Christmas cookie. I tend to hoard them for no other reason other than I want them to myself. They don’t transport well anyways, with the gooey filling on top. These aren’t very sweet so if that’s what you prefer, you’ll be in Heaven. 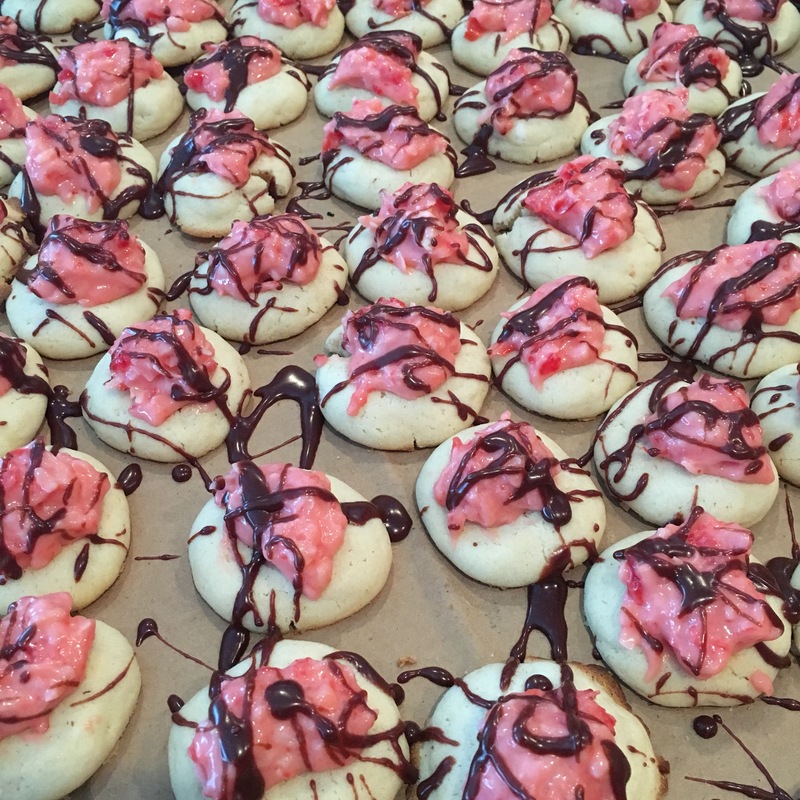 A gooey cherry-cream cheese filling sits atop a buttery sugar cookie. They are delectable and I can never stop eating them. They are so good that Kevin has taken them on as “his” favorite Christmas cookie too. They stick together so you have to put wax paper in between layers and keep them chilled, but I’m telling you, you need to try these! Mix and refrigerate for 1-2 hours. Heat oven to 350º. Form into 1” balls and place 2” apart on an ungreased cookie sheet. With your thumb, make an imprint in each cookie. Bake for 10 -12 min. and cool completely. In saucepan over low heat, mix chips and butter. Remove from heat and add sugar and water to make glaze. Drizzle over filled cookies. Refrigerate between wax paper. I really hope you make these. Enjoy! !